ROY KEANE HAS revealed that he’s been approached to appear on reality TV shows Celebrity Big Brother and I’m A Celebrity Get Me Out Of Here and admitted he could be open to the idea in the future. In a wide-ranging interview with ShortList magazine, the current Republic of Ireland and Aston Villa assistant coach was asked if he’d ever consider an acting career. When asked for his views on former-team-mates Gary Neville and Paul Scholes’ recent transitions to TV punditry, Keane didn’t hold back. “Certain papers write stories about Gary winning everyone over, and he’s writing for these same newspapers, y’know? Keane did reveal TV and film play an important role in him unwinding after a stressful day but that his last movie experience wasn’t too enjoyable. Email “Roy Keane: 'I've had the Celebrity Big Brother offers and the jungle stuff'”. 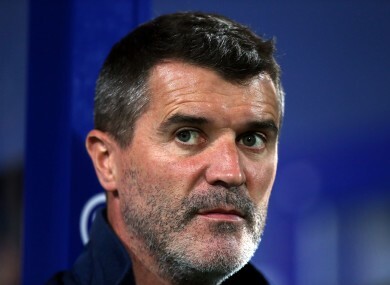 Feedback on “Roy Keane: 'I've had the Celebrity Big Brother offers and the jungle stuff'”.